Two months after Mayor Annise Parker called the city's pothole problem a "full all-hands-on-deck emergency," and in the wake of a yearlong series of reports by Ted Oberg Investigates, drivers are getting relief on the roads. 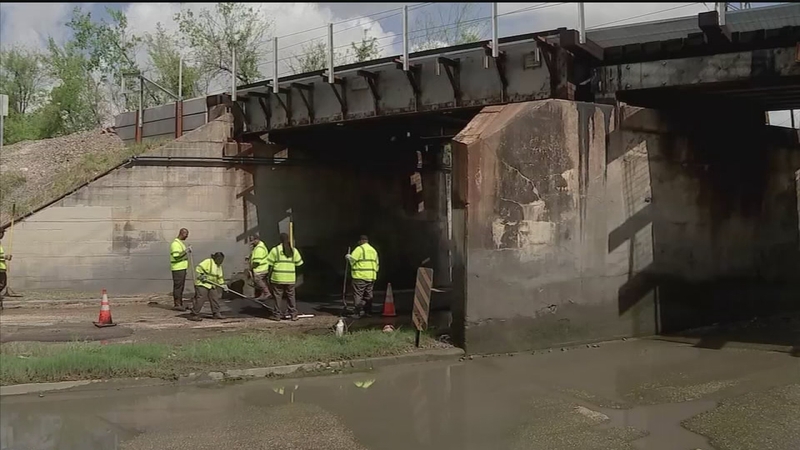 In the two months since the city emergency was declared and with $10.8 million of additional taxpayer money from the city's drainage fee used to fix Houston's roads finally flowing, city crews have patched 1,566 holes in city streets. That's an 83 percent increase from last year, when crews patched 854 holes over the same period. In addition, larger fixes, such as replacing full streets have also ticked up. "If you look back over the past year, we've increased the number of crews," Public Works Deputy Director Eric Dargan told Ted Oberg Investigates. "We've tripled the number of crews over the last year as well as the work hours we're performing, which has increased over 50 percent." The additional dollars have meant "more money to hire contractors, more money to spend on overtime for city crews," Dargan said. In addition, the media attention over potholes has been "a great thing," according to Dargan. The city's Public Works Department typically gets 500 calls about potholes each month. Lately, city workers are fielding closer to 800 calls monthly from the city's 311 system. Road crews typically worked on three jobs each day "depending on weather and size," Dargan said. Crews now are working on 30 to 40 jobs per day. "I'll admit that with more calls come more work," he said. "But we are not aware of every pothole, every situation in the city of Houston, so we want people to call 311 and they are." A Ted Oberg Investigates report in April of 2014 showed a steep decline in city road-paving and pothole fixing. Public officials promised a quick fix and additional tax dollars targeted to fixing streets. But in February Ted Oberg Investigates revisited the issue and found that not only potholes were still a massive problem but that the problem was worse, with more than 80-percent of the promised $10.8 million in extra dollars unspent, stuck in the city's bureaucracy. One example: A $4 million contract to overlay new asphalt was ready to go out for bid in June. It didn't go out for bid until August, records show. The contract was just awarded in January -- seven and a half months after the money was available. Now, with the money flowing, city crews working overtime, and with eight additional contractors brought on to perform concrete street work, Houstonians are seeing results. One massive hole on Elysian Street found by Ted Oberg Investigates in February has been repaired. "They've been doing a lot of work," resident Jay Rizo. "It was bad. Even if you had big tires, you'd still feel the impact." Still, there is plenty of work to be done. At the intersection of Terr and Finch streets, the locals have filled a deep hole with bricks after waiting months for a fix. "It's been like that for a while," Dominic Phillips said. Dargan said the goal is to get far enough ahead of the problem and bring road crews back to working a 40-hour workweek. "No one likes working their crews 60-plus hours a week," Dargan said. Editor's note: Due to a confusion in city data, the video version of this report, cites these figures as 'Concrete Panel Replacements.' It is actually skin patches which are asphalt repairs about the size of a piece of plywood (4x8 feet).